Fashion giant Ralph Lauren and the United States Olympic Committee (USOC) have unveiled athlete uniforms for the opening and closing ceremonies at this year’s Winter Olympics in PyeongChang, South Korea. The jacket includes adaptable heat technology that can be controlled using a smartphone app. 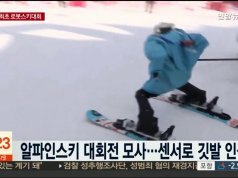 Even as temperatures in PyeongChang plunge to an expected 15 degrees Fahrenheit next month, Team USA’s athletes will manage to stay warm and look good while doing so. The team’s opening and closing ceremony uniforms have been put together by Ralph Lauren to harness wearable technology, all while paying homage to some of American fashion’s most iconic symbols. Beyond the jeans, mountain boots and brown suede gloves is a parka that contains in its lining heat-conducting ink, meaning it can warm up, on demand, just like an electric blanket. 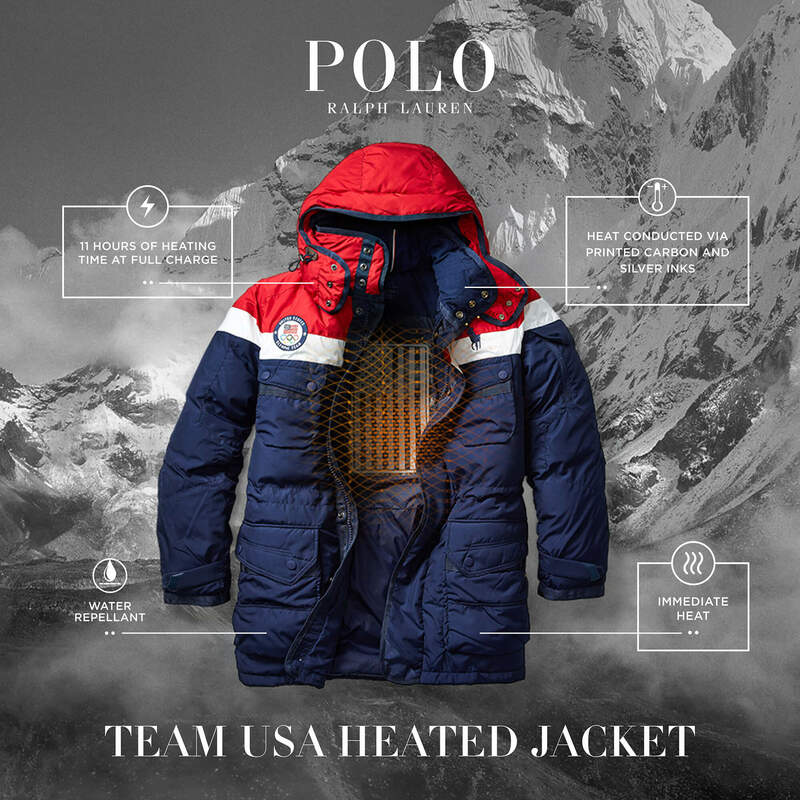 “Ralph Lauren is excited by the convergence of fashion and function, and we are committed to supporting Team USA athletes by outfitting them with the latest innovative technology. We’re proud that we’ve worked so closely with the athletes, as well as the U.S. Olympic Committee, to keep evolving and improving,” said David Lauren, chief innovation officer at Ralph Lauren. Because the temperature conditions on the ground could change by the hour and athletes will be moving between indoor and outdoor environments during both ceremonies, the Ralph Lauren design team needed to avoid a temperature-specific jacket. Instead, the heating system is made from electronic printed conductive inks – handily made into the shape of the American flag – that are sewn into the interior of the jackets. These conductive inks are flexible, stretchable and connect to a power pack with three thermal settings. Each jacket offers 11 hours of heating time at full charge. Athletes can adjust the heat setting through an accompanying smartphone app. Despite being a fashion brand associated with the importance of tradition, this isn’t the first time Ralph Lauren has used technology to take its sports clothing to the next level. In the past, the company has unveiled solar-powered backpacks and base layers with biometric tracking for ball boys and girls at the US Open. For the 2016 Summer Olympics in Rio, Ralph Lauren upped Michael Phelp’s blazer game with illuminated panels spelling out ‘USA’. This won’t be the last time that, as USOC chief marketing officer Lisa Baird says, “Ralph Lauren effortlessly weaves style and functionality into the opening ceremony uniform.” After all, one team’s fashion is another’s marginal gains.